I love Sherry. It’s one of the treasures of the wine world, but for a while now it has been woefully underappreciated. 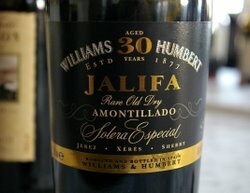 In this article, I’m going to try to convince you to drink more of it by sharing my enthusiasm, as well as some notes from a big tasting of many of the top Sherries. Now for the slightly boring (but important) bit. The background facts. The vineyards are mainly located within a triangle formed by the Sherry towns Jerez de la Frontera, El Puerto de Santa Maria and Sanlúcar de Barrameda. The characteristic vineyard soil in the region is known as albariza. A blinding white colour in bright sunlight, it has a high chalk content, and retains water well. In such a warm, breezy region, evaporation levels are potentially very high, so this characteristic is important. Vines are pruned by a method called vara y pulgar, which is similar to the French ‘Guyot’, with a single cane of some seven buds and a short replacement cane of a couple of buds. Harvesting is almost always done by hand. 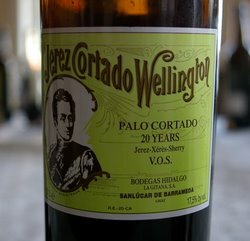 There are three grape varieties authorized for the production of Sherry: Palomino, Muscat of Alexandria (also known as Moscatel) and Pedro Ximénez. The latter two grapes are mainly used for sweetening purposes, and Palomino is by far the dominant grape in the region. It’s a relatively heavy cropper, producing large bunches of pale green grapes, which are harvested at a potential alcohol level of 11–12.5 degrees. The resulting base wines are crisp with a neutral character. 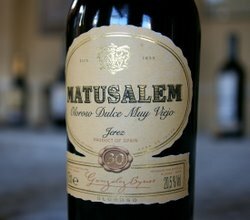 It’s the production process that transforms these into the compelling, diverse wines that sherry is known for. 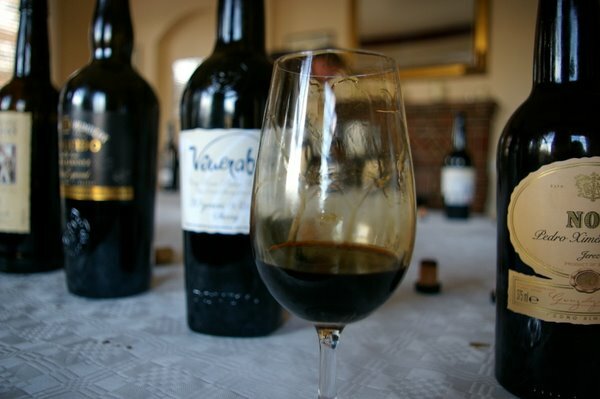 Essential to the production of sherry is the growth of a layer of film-forming yeasts on the top of the developing wine. This is known as the flor, and it forms spontaneously from yeasts that are abundant in the winery environment when the sherry casks are left incompletely filled. Sherry butts (as the barrels are known) are made of American oak and usually have a capacity of 600 litres, but are only filled to 500 litres, leaving a large air space. The species of yeast responsible for this film, Saccharomyces cerevisiae, is the same as the yeast that carries out alcoholic fermentation, but four specific races have been identified as being involved in flor formation: beticus, cheresiensis, montuliensis and rouxii. The precise make-up of this yeast layer changes with time. The growth of the flor protects the developing wine from oxidation. It’s thicker in the humid coastal towns in the region. In addition, the flor contributes a distinctive flavour to the wine through metabolizing alcohol to the nutty, apply compound acetaldehyde. To keep the flor healthy, casks are periodically topped up with fresh wine, to maintain the nutrients that the yeasts need to survive. Crisp, dry, yeasty, nutty and tangy, fino is the freshest and most delicate of sherry styles, weighing in at around 15% alcohol. Protected from oxygen during its development by the flor, fino needs to be treated like white wine once it has been opened. It’s a versatile food companion, and should be drunk chilled. This is a fino-style sherry from the coastal town of Sanlúcar de Barrameda. Because the more humid environment in the bodegas here encourages a thicker flor layer, these wines are typically lighter and even fresher than fino, often with a distinctive salty tang. 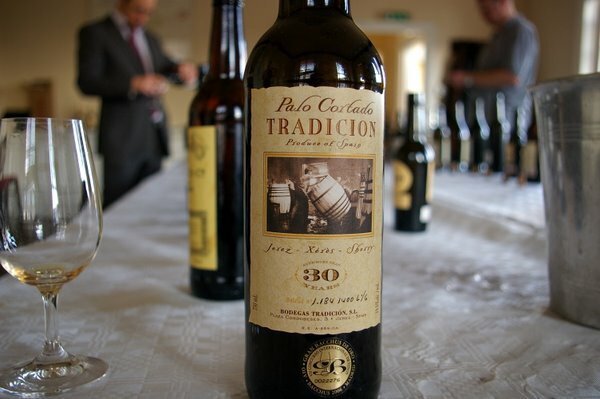 Aged fino that has lost its flor and then gone on to develop oxidatively, amontillado is an amber-coloured sherry that is nutty and complex, with a long finish. It is fortified to around 17.5 ° alcohol to protect it during its development, and because it has been aged oxidatively it will last for longer once opened. 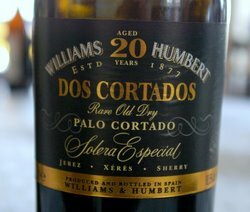 A sort of half way house between a fino and an amontillado, Palo Cortado is the result of a fino sherry losing its flor. Nutty, fresh and complex, this is now a popular style. 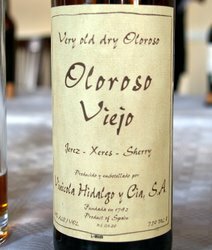 Complex brown-coloured sherries, Olorosos develop in barrel without the protective flor layer, often for many years. 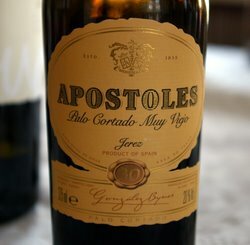 The result is a complex, rich, nutty style of sherry with aromas of old furniture and raisins. These wines are dry. Because they’ve seen so much oxidation during development, they are pretty stable and stay in good condition for a while once the bottle is opened. 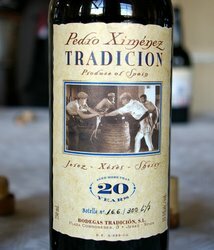 Made from air-dried grapes, with fermentation stopped early by the addition of spirit, Pedro Ximénez is a remarkable wine. Viscous and amazingly sweet, it tastes like liquid Christmas cake. 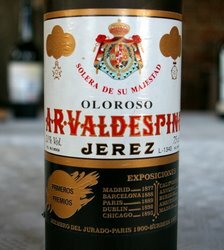 Cream sherries are more commercial products that have been sweetened by the addition of Moscatel or Pedro Ximénez. Typically, a single chalk slash on the face of the cask will indicate that a wine is to become a fino; two slashes will indicate it is to become an oloroso. Fino wines will then be fortified to 15 º alcohol, and olorosos to 17 or 18 º. At this latter level of alcohol, the flor dies, and so olorosos are not protected from oxygen during their development in the way that finos are. 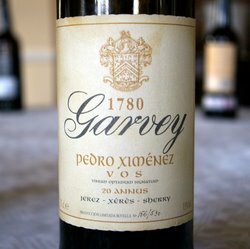 Pedro Ximenez in the glass! 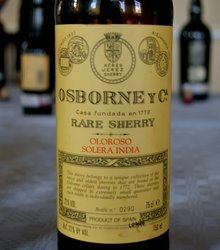 Also important to the flavour of sherry is the solera system. This is a rather complex arrangement of barrels (butts) where wine travels from one to another in a precise order during its maturation. Rather confusingly, the lowest level of butts is known as the solera, which is the name also used for the entire system. This is the final stage in the maturation process, and this is where the wine leaves the system. Up to one-third of the wine may be withdrawn each year from these barrels, but typically the amount taken will be 10–15%. They are fed by wine from the next level of butts, knows and the first criadera. The first criadera is in turn topped up by a third level of butts, the second criadera. Wine in the second criadera is usually replenished by new wine, but there can many levels in the most complex of the solera systems. 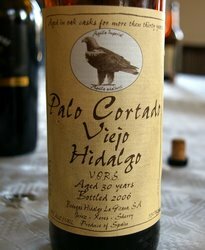 Sherry that has been through a solera system such as this will therefore contain a mixture of vintages. The system helps maintain a house style, and results in consistent wines. 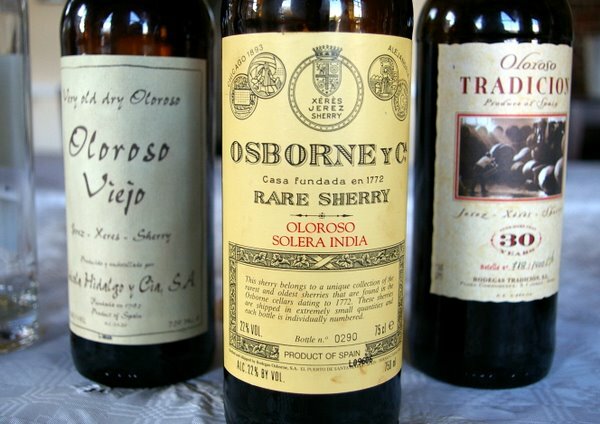 Some vintage-dated sherries that have not been through a solera exist, but these are a rarity. 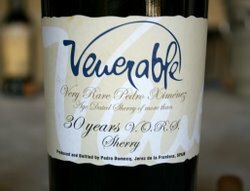 The tasting notes below are from a remarkable Sherry Institute of Spain tasting of Añada, VOS and VORS sherries. 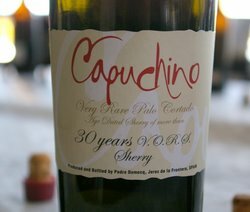 These are classifications that refer to the age of the wines: VOS (very old Sherries) are at least 20 years old; VORS (very old rare Sherries) are at least 30 years old; and Añadas are vintage dated Sherries from a single year. These wines were not tasted blind.